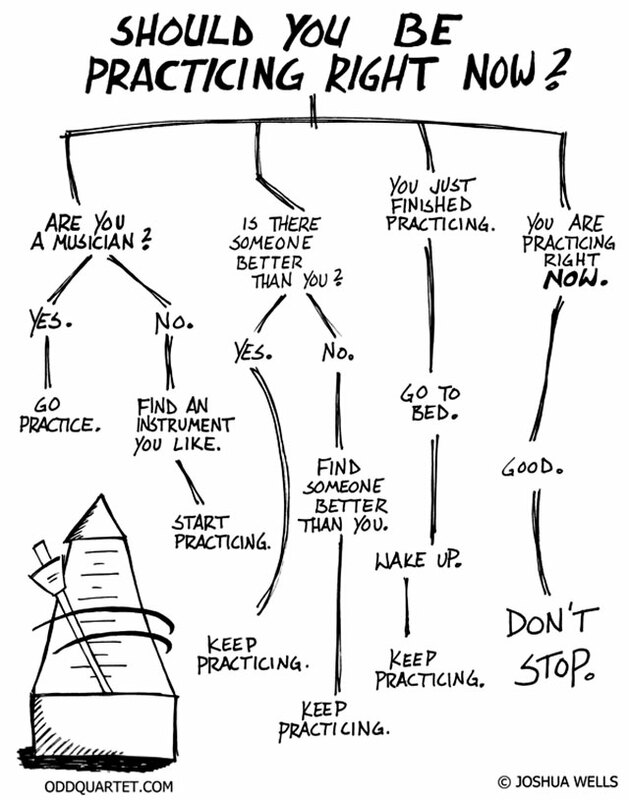 Now that the piano season, school, and fall sports have launched, I’m hoping you are settling into a good practise routine. When you’re busy you have to be focussed when you practise your instrument. Chris Foley is a pianist, teacher, vocal coach, and the author of The Collaborative Piano Blog. His blog is one of my favourites. In 2007 Dr. Foley posted a series of articles entitled 31 Days to Better Practising. The articles have now been published as a free e-book. Since Dr. Foley says it better than I can, we’ll be discussing some of his strategies at upcoming lessons. Download a copy for yourself. From September 8 to September 15, the Ottawa Citizen has been offering free downloads of music, TV episodes, apps, or books on iTunes. Today’s download is a 20-song playlist of the greatest works from classical music. If you are just building your classical music playlist, this is a great start. Play it while you study. You’ll recognize some works that regularly appear on movie soundtracks – surprise! Available only until midnight September 13, 2011. Last night I had the pleasure of playing at the Stittsville Sobey’s again. This time I brought along a few students from my studio. E.H., A.K., A.W., M.W., and R.S. did us all proud. Well done! And thank you to Sobey’s for having us. Today the Ottawa Citizen released its guide to cultural events happening in 2011-2012. Music, visual art, theatre, dance, film, books – there are a lot of great events happening in Ottawa. There are some excellent pianists coming to town to play with the NAC Orchestra. If you get the chance, take in a concert by these world class pianists: Angela Hewitt, Olga Kern, Jon Kimura Parker, Jan Lisiecki, Louie Lortie, and Yundi. Most of these artists are Canadian. Angela Hewitt grew up in Ottawa. Jon Kimura Parker was born and raised in Vancouver. Louie Lortie was born in Montreal. Jan Lisiecki was born in Calgary and is currently studying at the Glenn Gould School of Music in Toronto. And for a hilarious look at being a pianist, take in the play 2 Pianos, 4 Hands by Canadians Ted Dykstra and Richard Greenblatt at the National Arts Centre January 10-28, 2012.